As one of our Social Media Leads, I get tasked with determining how successfully our clients' businesses perform on Facebook, LinkedIn, Twitter, and all other social channels their business is present on. I often get asked by my coworkers and our clients, what is the best way to analyze social media results? What metrics and data should you pay attention to? Is it the number of comments on a post that matter or how many times a blog gets shared socially? Not exactly. Here are the top three things I believe you should pay close attention to when you sit down to analyze the performance of your social media accounts. I'm going to make a bold statement and say that your brand could have 1,000,000 followers and still not be as successful as a brand with only 1,000 followers. How so you might ask? It's simple. Followers on social media only matter if they are engaged followers. What do I mean by that? Facebook likes to serve up content that matters to people. Content that will make people hit that like button or share it with their best friend Tracey. Content that resonates with the people who are seeing it. Therefore, if your followers are seeing your posts but they never comment, like, or share them, Facebook is going to penalize you in the form of how much reach your posts are getting. To understand the 'why' behind this, check out our blog on the ins and outs of the Facebook algorithm updates. Building a strong following behind your social media channels is a key component to your social success. On a day to day basis, I review new net followers of each social media channel for growth. It is normal to see some ebb and flow in social followers, but if I ever see a huge dip in followers I immediately want to dig deeper to see what caused this. Did we post a controversial blog topic recently? Are we spamming our followers with too much content? Or maybe it's that I forgot to run a social media contest this month. At the end of each quarter I report back to our clients how many followers they gained during the last three months. I then take that quarterly data and compare it to the previous six months to see what is happening from a higher level perspective over time. If you are seeing an increase, what efforts are contributing to that increase? Find out what is working and expand on it. If you are seeing a decrease, what has changed that isn't working? Another key component to analyzing followers is reviewing demographics. There are a number of different reasons why you should be paying attention to the demographics of your followers. Things to keep in mind are your followers': age, gender, location, and interest. 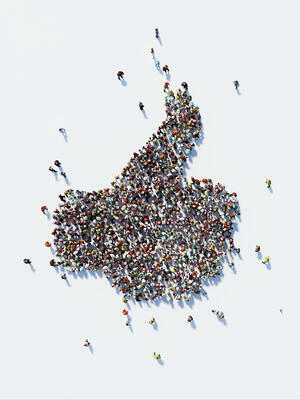 Are you attracting followers who align with your target market? 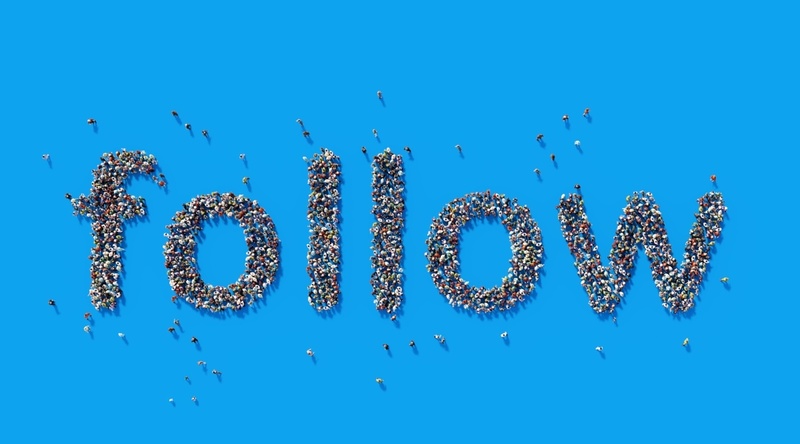 While you are checking out the demographics of your followers, look to see if you have any spam accounts following your brand. While these accounts are making it appear you have more followers, they aren't doing your business any good. If you aren’t seeing an increase in followers or the followers you are trying to attract, it’s time to evaluate your social strategy and look at things you can be doing to increase your number of followers. Should you be doing sponsored ads? Contests? Promoting your social channels on your website? Utilizing your social media icons within your email signatures? Promoting new social channels from other social channels? If your number of followers isn’t increasing, put together a plan of action and continue to monitor its performance. As mentioned above, even more than a great following, it is important to analyze clicks and interactions. Clicks show if people went to the links you’ve provided. Interactions track how people have been engaged with your content. Ideally, you’ll want high clicks and high interactions with all of your content. Of course, you will have some content that just naturally performs better than others. With that type of content, figure out what made it so great and try to replicate it again and again. content people are interacting with, what questions people are asking, and what type of feedback is being generated. Based on this analysis, I can determine if additional content should be added to other inbound marketing initiatives. For example, if a certain topic is generating a lot of interest, should there be a blog post about the topic? Or, if there are a lot of questions about something in particular, should there be a section on the website added to address FAQ’s? Insights from clicks and interactions can be very helpful since they are first-hand insights directly from customers, potential customers, and brand loyalists. When you are analyzing your social media performance, don't forget to look at how many visits your social channels are driving to the website. I analyze this on a month to month basis and over time as a way to review what trends I'm seeing. I evaluate what sort of content is driving the most visits. For example, maybe it’s a certain landing page or offer that's driving a lot of traffic. In general, in addition to culture posts and non-sales material, it’s a good idea now and then to use your social media platforms as a lead generator to draw traffic to your site so people can convert and learn more as they are going through their buyer’s journey. The more people that come to your site, the more leads that will be generated. The more leads that are generated, the greater your potential to close a sale. See how powerful a simple share can be? Why Hire an Inbound Marketing Firm to Manage Your Social Media? Social Media For Business: A Waste of Time or Wise Investment? The next time you sit down to analyze your social media performance, I hope you keep these three metrics in mind. Which metrics does your company look at on a daily basis? Leave me a comment with your thoughts. If you have any questions about your current social media strategy or you need help building one out, please reach out to us so we can start the conversation around building up your brand with social media.